Santa Barbara Landscaping Contractors | Ventura | Montecito | 805-765-2553 | Down to Earth Landscaping Inc.
Premier Santa Barbara landscaping specialists Down to Earth Landscapes, Inc. has announced that the company is actively seeking to work directly with general contractors. They have fresh ideas for frontyard and backyard landscaping projects. The company has 41 years of experience as landscape contractors and understands the importance of timely communication, creativity and completing projects on-time and on budget. 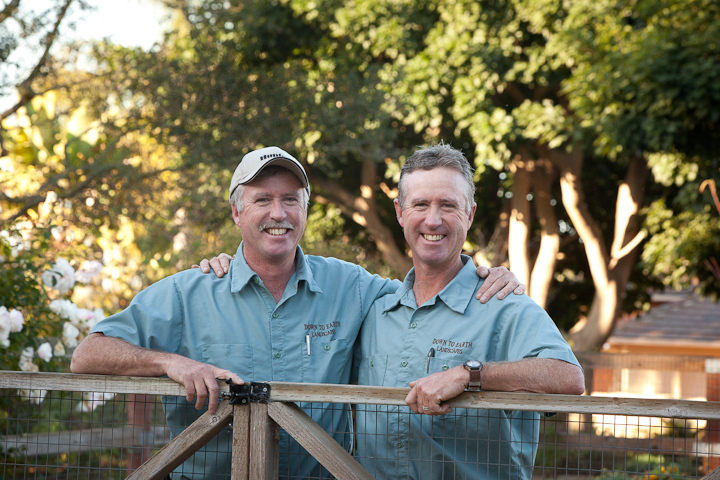 Down to Earth Landscapes Inc has worked closely with many general contractors over the years and have many valued relationship in Santa Barbara and Ventura Counties. They eagerly seek to take on the role of a landscaping subcontractor on a custom home or major remodeling project and ensure that the contractors’ reputations are enhanced. Because general contractors and development companies are often under pressure to complete their work within budget and within a set time frame, they require their subcontractors to have experience in a number of unique landscaping and construction areas. This is why many Santa Barbara general contractors value the diversified landscaping services of Down to Earth Landscapes, Inc. The company’s landscaping services for general contractors are designed to help the general contractors achieve streamlined projects that ensure that budgetary and timeline parameters are met and clients are very satisfied with the quality of workmanship. What sets Down to Earth Landscapes, Inc. apart as a subcontractor is that the company offers expertise beyond providing backyard landscaping design and build ideas. For example, the company’s in-house team features trenching specialists, electrical sleeving and landscape lighting. Contractors can trust the Down to Earth Landscapes, Inc. team to install high performance outdoor lighting systems that help to enhance the architectural strength of the project and create the perfect ambience in garden areas. For those with specific electrical work requirements, the company can provide qualified electrical sleeving work that supports optimal safety. These services highlight the fact that Down to Earth Landscapes, Inc. is a company that strives to continually exceed the expectations of their clients. And they’re always ready to help general contractors meet the high standards expected of a custom home client. To learn more about Down to Earth Landscapes, Inc. and their full scope of services, please contact the company directly. Alternatively, please visit the company’s website at www.downtoearthlandscapesinc.com.